Mary Chamberlain is a dairy farmer alongside her husband, Jason, and in-laws Warren and Lori, at Dairylain Farms in Vale, Oregon. Mary and Jason have three boys between the ages of one and seven, and she coaches a cross country running team at the local high school. We asked Mary eight questions about her life as a farmer, community volunteer, and a mother. It’s a family tradition that goes back to our great-grandparents. I was raised on a dairy farm, and I married a dairy boy. 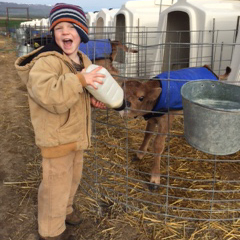 It only made sense to work on his parent’s dairy and raise our kids to love dairy cows as much as we do. Raising calves, fostering them to cows, and giving them what they need to produce wonderful milk — that is the pretty basic description of what we do. But in reality it’s so much more. When our first born arrived, I tried to stay home, but the farm needed an extra set of hands. I found myself pushing a stroller along as I fed calves, vaccinated cows, or checked heifers. Now on our third child, we start our mornings by heading to the barn to get milk to feed the calves, and end our day checking on the robots (we added robotic milkers last July). I’m very proud to have my boys working with us every day. What’s life like for your kids on the farm? They all have different levels of love for the farm and our way of life. 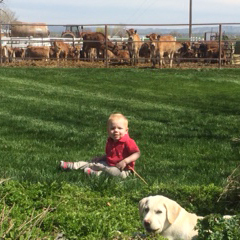 My one-year-old just loves to watch the cows, and of course, sample their food. My four-year-old plays for hours with his farm toys in the sandbox. Every once in a while we catch bits of his make-believe land, where he is the ‘dad’ and he drives his loader and feeds the cows. We even get hints of a girl he likes as she makes an appearance in this pretend world to feed baby calves. 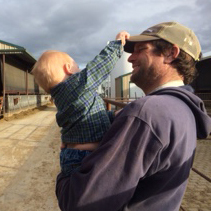 When he isn’t in the sandbox, he loves to follow his dad around or ride along while I check on the heifers. Our seven-year-old is starting to connect the dots that feeding animals and taking care of them is essential for them to not just survive but to helps us survive. When an animal is born, he is one of the first to let us know, and then help his dad move her to the barn. He helps with every task on the dairy. Some he hates (he thinks feeding calves is too boring) and others he loves (like picking out animals to train for fair). And you’re also involved in your local schools? Yes, I’m the local cross country head coach, and I substitute teach when I can (which is a bit rare these days with a one year old). Before my boys, I ran marathons and did triathlons all over the country. These days, it’s important for me to stay fit for my sanity and my health. Coaching running is great way to give back to the community and teach kids a way to deal with their own stress and worries. 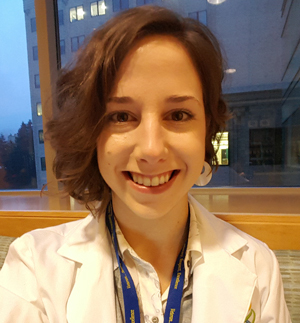 With a master’s degree in dairy science and a love for running, I’m a bit of a quirky sub. I encourage getting outside to do work. I believe there is this huge connection to moving and learning that we don’t utilize in the classroom. How important is nutrition to your family and your cows? As a three time mom in her 30s who still runs and bikes when she can, what’s in my food and my boys’ food is a concern. We all burn a lot of calories. I don’t want any food around that is just going to give a quick energy high and then leave me with a headache and cranky kids. Protein, carbohydrates, digestible and usable sugars, vitamins and minerals: that’s what I look for in all my food, and I try to balance the levels based on what we need and when we need it. Good nutrition is also important to our cows. They are sort of like a pro-athlete; they will burnout if they don’t train and eat right. We feed the cows to increase milk supply naturally by giving them the correct amount of energy, protein, vitamins, and minerals (and plenty of water). We have to make sure their nutrition allows them to milk plenty but doesn’t deplete their bones and body. Out of 375 milking animals, we have only one that’s getting antibiotics right now. We use antibiotics on our dairy according to the label, and no antibiotics are allowed to enter the food supply. If she gets an antibiotic shot, her milk gets dumped. I think there is a misconception that as dairy farmers we are constantly giving shots for sickness. Really we give very few. My one year old has received more doses of antibiotics for ear infections this winter than we gave the entire milking herd for the same four months. We all work hard to give our animals the best chance to fight colds and viruses on their own. When they can’t, we call the vet and get the medication they need. As for hormones, cows don’t need additional hormones to make them give more milk, they have enough natural ones. How do you take care of your cows and calves? We feed them, ensure they are safe, healthy and comfortable, and we provide clean homes and bedding. We give the calves blankets and warm water in the winter and cold water in the summer. Sometimes when my kids are sick, it’s hard to leave the house to work at the dairy. But the cows and calves need us too. Cows are not humans, and sometimes they can hurt or neglect their calves. So to the calves, we are their foster parents. They depend on us to understand their language, like a wagging tail and licking tongue means ‘I’m good!’ — droopy eyes and not getting up right away means something doesn’t feel right. Improving the land around us is a big priority. Since we grow our own crops for the cows to eat, there is always plenty of land that could use more nutrients. We sample the soil to decide where nutrients are needed and that’s where we spread manure from our pens and barns. It’s natural, organic fertilizer. We ensure that the water used in our barns for cooling milk is recycled, so the cows can have plenty to drink. We are constantly looking for ways to reduce waste in all forms and recycle what we can. We use solar powered electric fences to keep the heifers in, and solar powered pumps to run our pivots to keep the fields watered and the grass growing. Are there any parting thoughts that you’d like people to know? Just as none of us are perfect parents, there are no perfect farmers. But we honestly do the best we can do on this day, and hope for the same or better tomorrow. Every day is another chance to do even better. I trust what we do, what my neighbors do, and what our fellow friends and dairy farmers across the country do. We are proud of the quality foods that we help bring to your table and ours! Today’s modern dairy farm is a far cry from what many people envision. Technology plays a very important role in dairy farming — from caring for cows to caring for natural resources. In Oregon, more and more dairy farmers are installing robotic milking systems for their cows. With robotic milking systems, the cows are responsible for their own milking. They voluntarily enter a safe and clean stall when they’re ready to be milked — usually two to three times daily. Using an optical camera and lasers, the robot cleans and preps the cow’s udder, attaches and retracts the vacuum milking cups, and treats the udder post-milking to prevent infection. A meter continually monitors such things as milk quality and content or milking intervals — how often a cow comes through the stall. The system’s software management alerts the farmer if anything is amiss. So if there’s anything abnormal about the milk quality, it’s automatically diverted away from the main milk supply. Or if a cow isn’t following her normal schedule, it may be an indication she’s not feeling well and the farmer is alerted. It’s real-time insight to each cow, individually. The cows also respond exceptionally well to the predictability and routine of the robots. Robotics is just one of many ways that modern dairy farmers are evolving. Dairy farms across Oregon are already using RFID ear tags to monitor herd health, in addition to automated feeders, solar panels, methane digesters, GPS driven tractors, observation drones, computerized irrigation and much more. 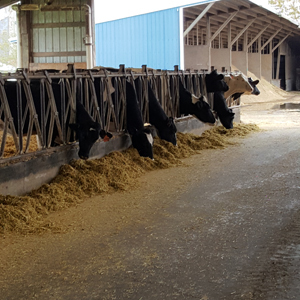 Technology is used not only to help make dairy farmers more efficient, but also to better care for their cows, the environment and their communities. Full text of the article available here for those without a subscription. As a nutrition intern for the Oregon Dairy and Nutrition Council, I recently had the opportunity to visit a dairy farm outside of Salem, Oregon, during my second week on the job. Since I didn’t grow up on a farm or have a background in dairy, this tour was an opportunity for me to learn about dairy production practices. I was also eager to learn what kinds of questions kids and parents had about milk and dairy. This class is one of many that get a firsthand look at where their favorite dairy foods come from. At Rickreall Dairy, tour leader Stacy Foster conducts more than a dozen tours of the farm during the spring. The success of the program has allowed her to now expand to offering tours in the fall, and I was joining for the last tour of the season. We move on to the maternity barn where the sounds of the milking machines can no longer be heard. The children are excited to see two newborn calves beginning to take their first wobbly steps. This gives Foster the chance to explain the life cycle of a cow on the farm. The kids are surprised to hear that cows don’t just grow up and give milk – like humans, they have to have a baby first. As the kids peer over the enclosures to get a closer look, parents begin raising questions for Foster. “Is organic better than conventional milk?” “Can you taste a difference between different brands?” Foster points out that all milk sold in stores is held to the same standards for safety and quality. 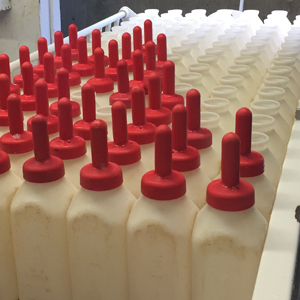 In fact, there are 27 regulatory agencies that Rickreall Dairy works with to be in compliance. We end our tour by moving into the barn that houses the calves. “Who wants to bottle feed a calf?” asks Foster. She is met with an overwhelmingly enthusiastic response from kids and parents alike. The children each grab a bottle and file down the row of calves, who eagerly stick their head out in anticipation of the meal. The children giggle as the calves gobble all of it down, and the bottles are drained within minutes. For most of these kids, and for me, this is the first time they have seen a dairy farm firsthand. The tours at Rickreall Dairy are a unique opportunity to help kids connect the farm to table concept. Their faces light up when presented with the idea that the cows they met today could be the same ones that made the milk in their fridge. For parents, they enjoy having questions resolved to help them make good choices in what they feed their children. As for myself, I loved gaining insight into food system production and hearing about what the consumers wanted to know. A huge thank you to Rickreall Dairy and the Oregon Dairy and Nutrition Council for making this experience possible! Dairy farmers’ commitment to providing high quality milk begins with taking good care of their cows. On farms of all sizes, farmers care for their cows by providing a nutritious diet, good medical care and healthy living conditions. Animal comfort is key to a farmer’s livelihood. Environmental stewardship is important to all farmers, no matter how many cows they milk. Farmers care for their land and their natural resources. They usually live on the land where they farm. It’s important to dairy farmers that they be good neighbors and members of the community. Farmers and the industry are innovating and working toward a sustainable future. They are increasingly working smarter with automation, methane digesters, recycling, precision agriculture and solar panels to increase efficiency and reduce impacts. Food safety starts at the farm. Milk is one of the most tested and regulated food products, and farmers employ rigorous standards, practices and procedures to ensure that it is kept pure, cold and safe. Dairy farmers take great pride in their work, and they want the next generation to work on the same land so they can continue providing the nutritious food that we enjoy and depend on. It is their legacy. There’s a common misperception that larger farms are somehow not as good for the animals or environment. However, the large scale farms allow optimal use of scarce resources such as water, energy and land. Large farms also face the same kinds of regulations and oversight as smaller farms. 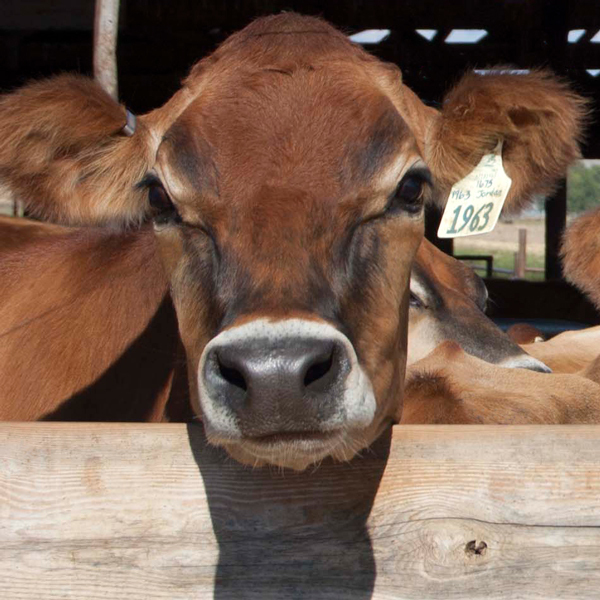 If you have questions about dairy farming, use our contact form and let us know.